Safe to eat, gentle on baby skin! 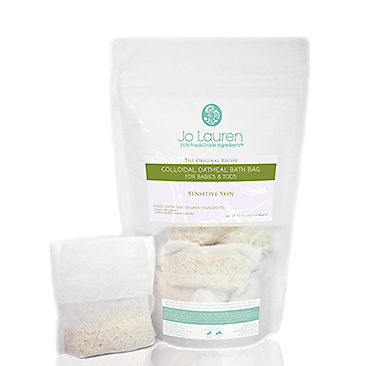 Jo Lauren is the first organic baby skin care range made with 100% food-grade ingredients! Awarded Best Organic Baby Skincare 2014 by #1 Parenting Magazine, Parents World Singapore, Jo Lauren Baby Skincare & Bath was created by Mama Jo for her Baby Lauren. Is your precious baby suffering from baby rashes, eczema or sensitive skin? The non-steroidal Baby Miracle Balm is your answer to that! It contains organic sunflower oil infused with organic calendula flowers and organic plantain leaves for instant and powerful soothing and healing! All the products are made with 100% food-grade ingredients and is recommended as baby’s first skincare and bath set! After healing Baby Lauren’s eczema, Mama Jo’s products helped many other babies recover from eczema so she launched Jo Lauren Baby Skincare & Bath! Check out the raves and reviews on their website and order now!